Meet the HAOBA AR Smart Gatling Gun: an electric soft bullet water gun that combines with your smartphone to provide you with a more fun playing experience. You can fire 3000 rounds on a single charge. The range is about 25 meters. 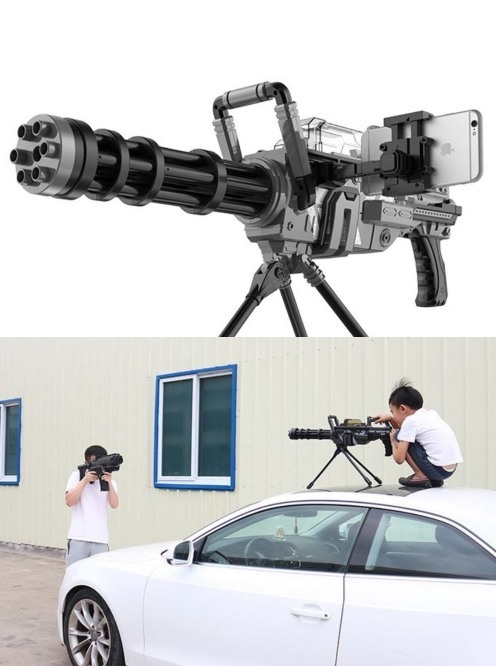 The HAOBA Gatling gun comes with a convenient smartphone holder to let you aim like a pro. The companion app comes with filters, radar, and everything you need to engage in multi-person battles. You can find out more about this toy here.